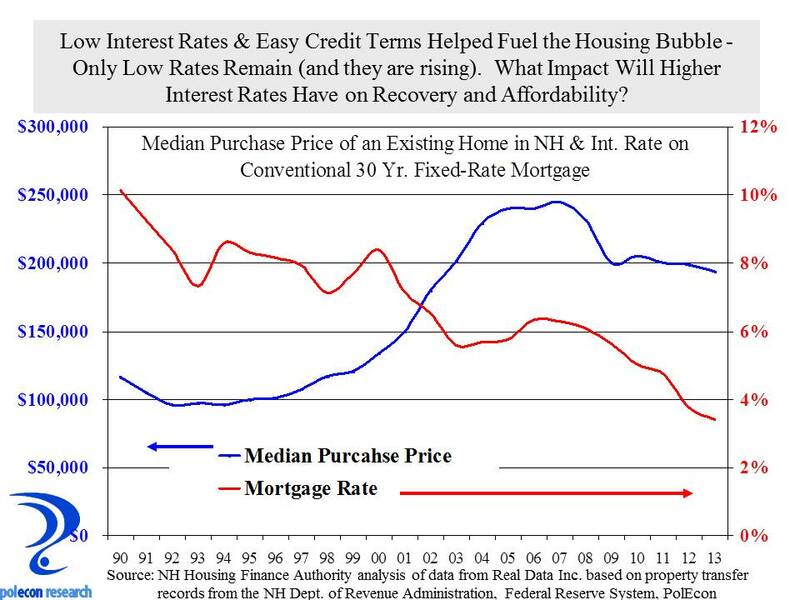 How Much of Housing’s Recovery Depends on Interest Rates? 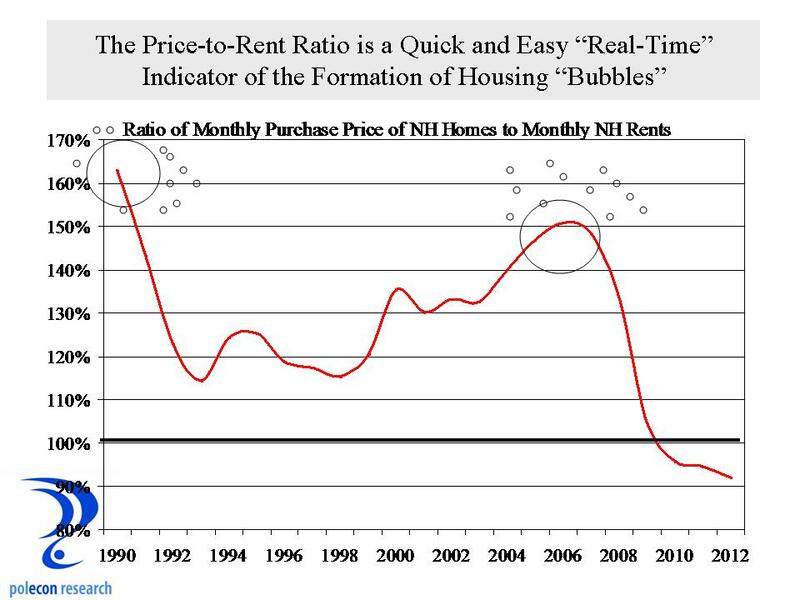 Low interest rates did much to float the housing bubble of the 2000s, but like all bubbles the higher pressure inside the bubble eventually caused it to burst as it rose higher and encountered the thinner atmosphere at high elevations. Recently, even lower interest rates (lower than those that helped create the bubble) have significantly helped the housing recovery . I haven’t written about the housing market lately because you can only jump off the “booming housing market” bandwagon so many times before people start wishing it causes you a fatal injury. 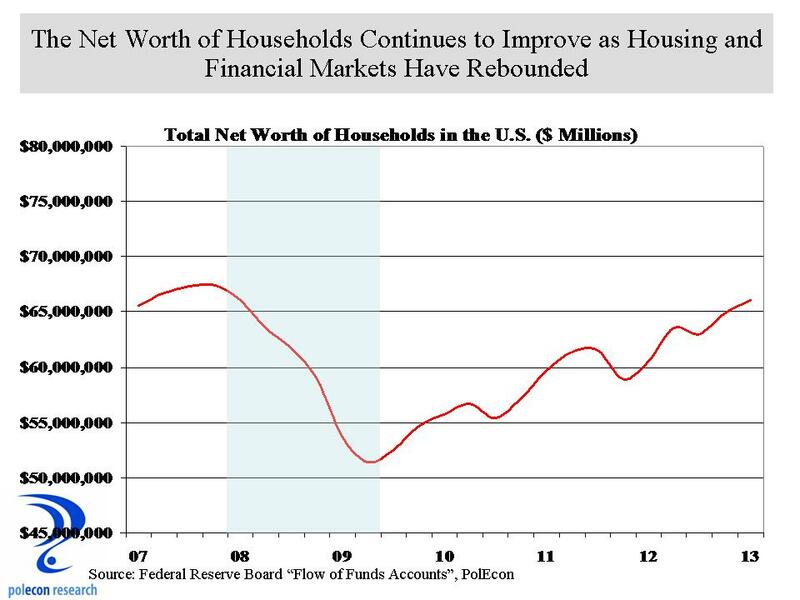 I won’t jump off the housing recovery bandwagon this post so much as I will move to the back of the wagon. There is a nice modest recovery occurring in New Hampshire’s housing market. It is not the boom that some national headlines indicate, or even as strong as some data on median sales prices in New Hampshire would suggest, but the market is recovering. 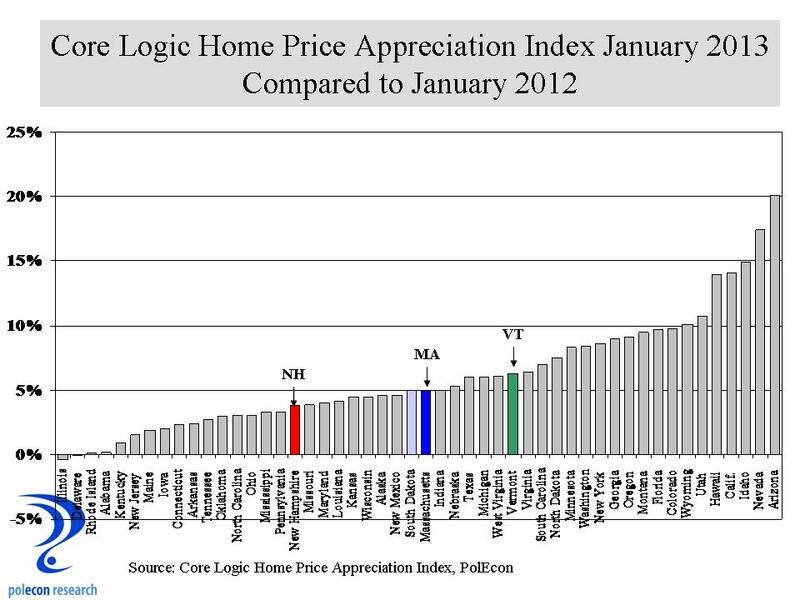 CoreLogic’s home price indices show New Hampshire prices appreciated at about 5% over the past year. Not bad but still 30 states had greater home price appreciation. Home prices in the Granite state remain almost 17% below their peak levels and in only 12 states to prices remain further below their peak levels. Population growth (largely through in-migration) appears to be resuming again in New Hampshire and as household formations and job growth accelerate the market should improve at a faster rate. Housing affordability is as high as it has been in decades. The chart below shows a housing affordability index, or how the monthly income of a NH household at the median income in the state relates to the monthly principal and interest costs of buying a home at the median price in the state. When the index is above one, the index shows that the “typical” household with income at the state median, has more than enough income to cover monthly principal and interest costs (it says nothing about whether they have enough to make a 10 or 20% down payment to make the purchase or the ability to qualify for a mortgage). The chart also shows how affordability changes at higher interest rates, indicating that for every 1% rise in mortgage interest rates, affordability declines by about 10%. The final chart shows how dramatically the combination of lower prices and falling interest rates affects the monthly principal and interest payments required to purchase a home in New Hampshire at the median purchase price and prevailing interest rates. 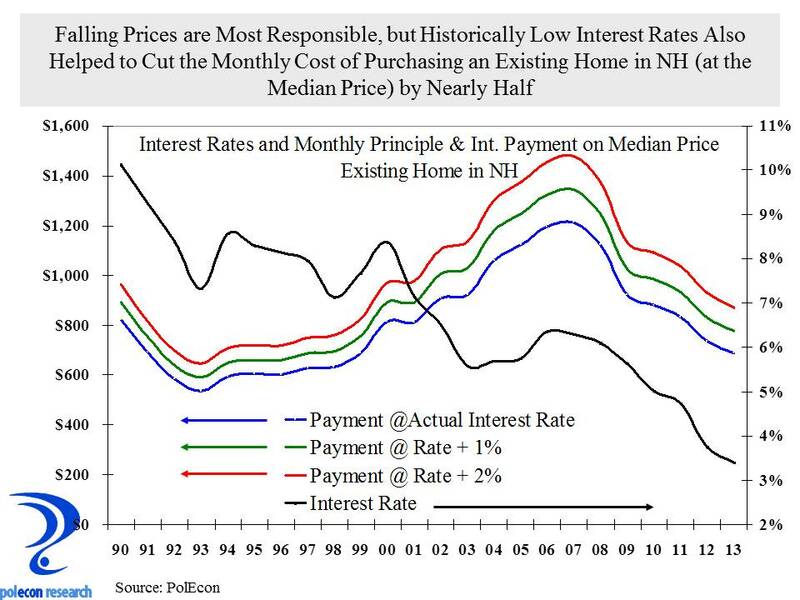 The chart also shows how the monthly principal and interest payments on a median priced home in NH would have been affected by interest rates that were 1% and 2% higher than they actually were. The chart shows how significant changes in monthly payments can be at higher interest rates. The impact of interest rates on monthly payments is more dramatic when home prices are higher so lower prices in this case suggest that an uptick in rates may have somewhat less of an impact than in the past. Nevertheless the impact on affordability and prices of higher interest rates will be clear. A key question is how much of the recent rise in prices is the result of a genuine increase in effective demand for homes and how much is the result of the capitalization of interest rates into the purchase price (when rates are low sellers can get higher prices and still keep housing affordable but when mortgage rates are higher sellers must charge less to keep the same level of affordability). For certain we know that more homes are being purchased, what we will find out, if interest rates continue to rise, is how much of that and sales prices are driven by low interest rates. In new Hampshire this is especially critical because we have a relatively high percentage of homeowners with negative or near negative equity in their homes and changes in interest rates may determine whether or not they can sell their homes without incurring a loss. Improvements in the balance sheets and cash flow of households along with continued if not robust improvement in the labor market bode well for consumer spending as the year progresses, helping the economy overcome the negative impacts of payroll and other tax increases. Home equity is a strong driver of the buying power and spending decisions of households. Home prices are rebounding across the country and even New Hampshire is beginning to show some strengthening according to Core Logic’s Home Price Appreciation Index. Appreciation in NH remains below a majority of states and well below the 15% suggested by the industry in the state. While home prices are still off from their 2006 peak, the rise in home prices has raised homeowners’ equity $1.6 trillion over the past year. This is the second largest nominal gain on record since 2005 when homeowners’ equity was up $2.0 trillion. In percentage terms, owners’ equity as a share of household real estate rose to 46.6% last year compared to 40.5% in 2011—the previous cyclical peak was 59.6% in 2005—and an all-time record low of 37.3% in 2009. Private retirement and pension accounts represent a much smaller component of the net worth of households but they are key contributor to households’ sense of financial “well-being” and a contributor to the “wealth effect” that impacts household confidence and their willingness to spend. 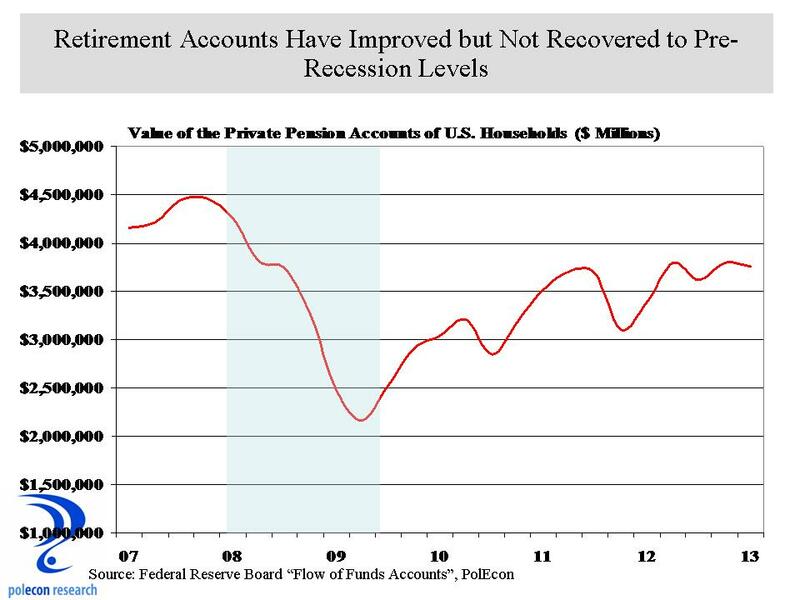 The equity of homeowners is the largest contributor to the improvement in household net worth but the value of the private pension accounts of households along with the rise in the value of the stock market are adding to consumer’s willingness to spend. Lower interest rates, lower levels of debt, and improvements in wage and salary income are also improving the cash flow of households. In combination, the outlook for consumer buying power and spending in 2013 looks like it could be stronger than the growth in the underlying economy would suggest. On only a few issues can I say that I would be happy to be wrong. 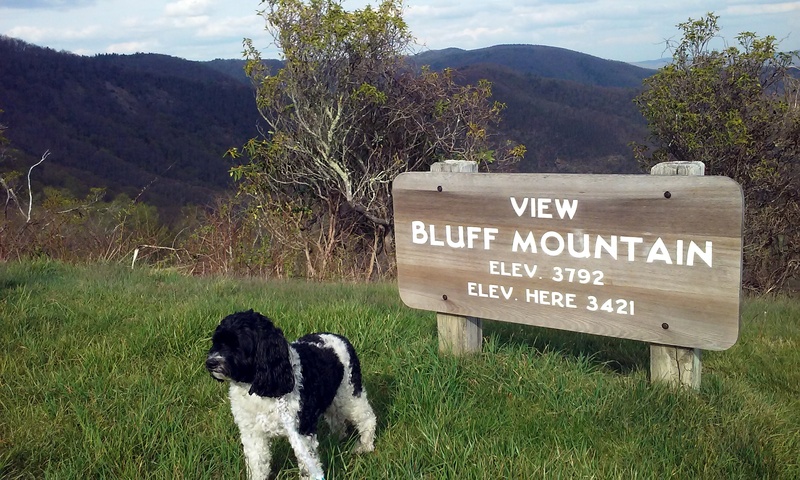 My views on likely home price appreciation and New Hampshire’s housing market is one of them. Housing is important to the state’s economic recovery and longer-term prospects for economic growth. 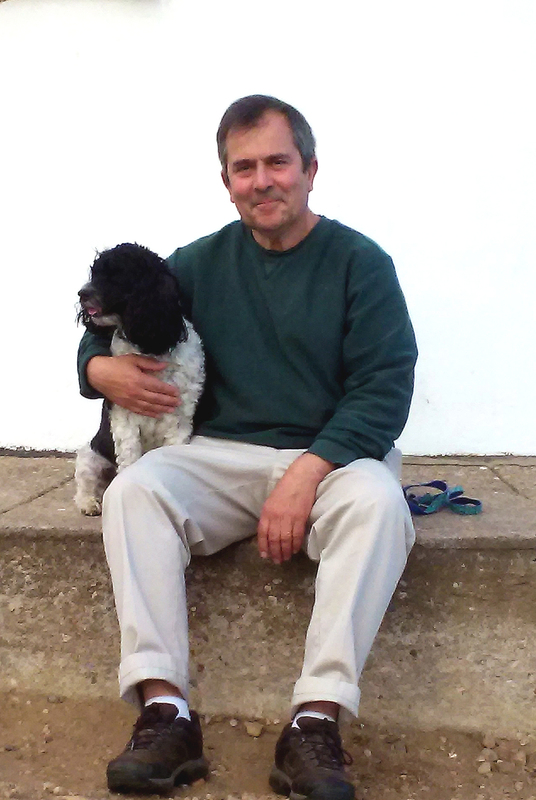 By way of shameless self-promotion, I will be on NH Public Radio’s “The Exchange” discussing some of my views on the topic. I’m not a real estate economist so it will be interesting to hear how my views differ from someone who will also be a guest and who is a very good real estate economist, (Russ Thibeault from Applied Economic Research). The problem I have with most discussions of the housing market is that housing is by far the economic metric that individuals have the most emotional, psychological and often direct financial attachment to. Discussions of the housing market are the most prone to hope, optimism, and wishful thinking, and the least amenable (and welcome) to dispassionate analysis. If you want something to be true it is as easy to find evidence to support your view as it is to dismiss evidence that contradicts it. Every day we hear about the housing comeback nationally so we want to believe it is happening in NH, and we will look for any sign that it is. I don’t see much evidence that the housing market is recovering as fast in NH as it is nationally and I don’t see factors in the near future that will contribute to it being so. Long term, job and population growth are the best determinants of home price appreciation in a region and neither bodes well for a quick housing comeback in NH. The chart below shows the relationship between year-over-year home price appreciation in each state and job growth during the same time period. Each marker represents one state’s value on job growth (the horizontal or “x” axis) and its rate of home price appreciation over the same time period (the vertical or “y” axis). 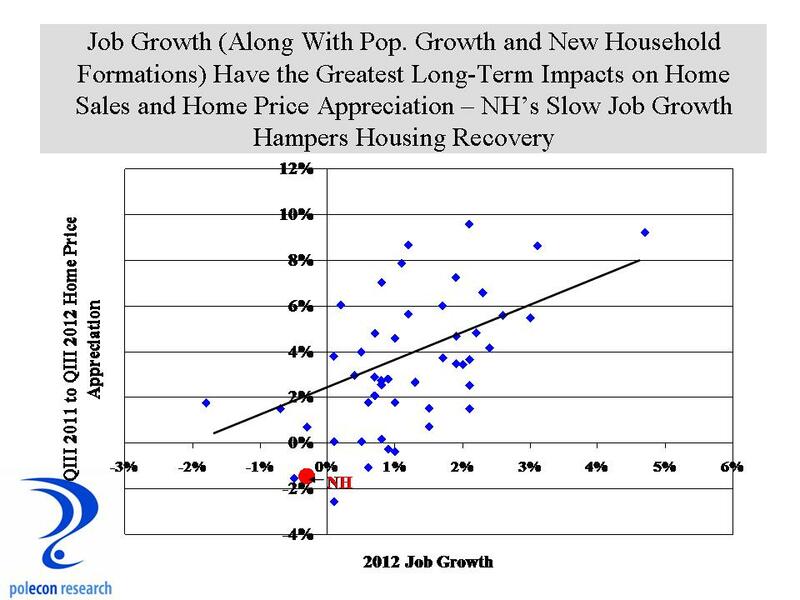 Some states with large price declines are seeing out-sized rebounds but job and population growth largely determine price appreciation trends over the long-term (during bubble times that relationship breaks down but eventually it returns to trend), NH is the red marker and reflects a state with both low job growth and appreciation rates over the past year. I know home sales have increased significantly in NH over the past year but I wonder how large a role investor purchases for conversion to rental housing is playing in that trend. For a number of reasons, that I will discuss in future posts, I think economic, demographic, financial, socioeconomic and social trends are likely to favor the performance of rental housing relative to homeownership in NH for several years. Nationally and in almost all states, the homeownership rate fell during the housing market crash. 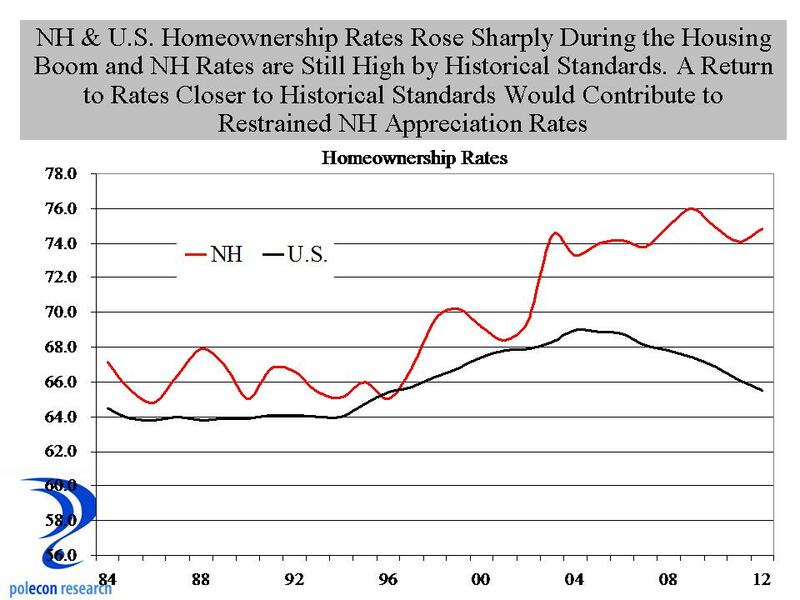 NH has a high homeownership rate and it barely dropped during the crash. Many states are seeing homeownership rates begin to rebound and will see demand and price appreciation benefits from that. 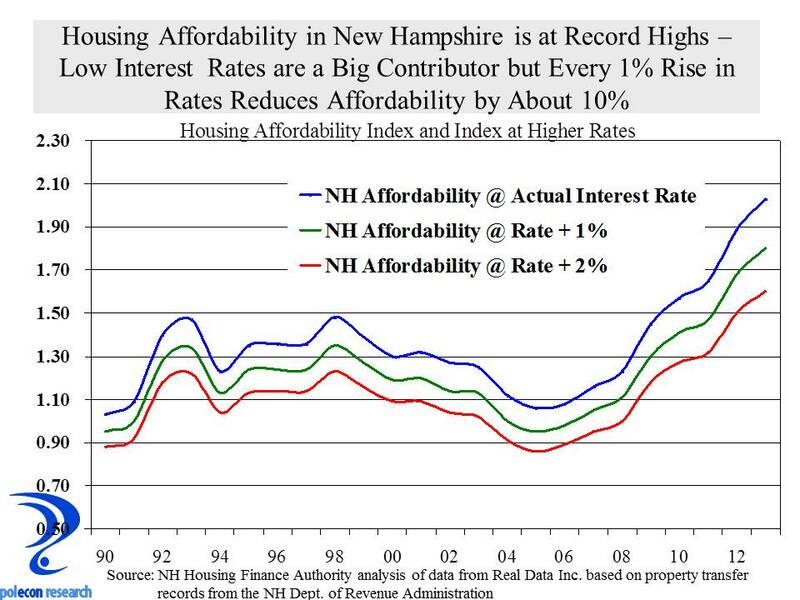 Meanwhile, NH’s rate remains at historically high levels and given the demographic and other trends I don’t have time to discuss in this post, I think the rate will move lower and closer to the state’s long-term rates. That won’t help price appreciation. Gosh that sounds apocalyptic, its not, it just means that we shouldn’t soon expect the big price rebounds seen in many states. Except I know we will expect exactly that, because residential real estate is about psychology and about comparables and comparisons, what has happened in the past. Any industry strongly influenced by those factors is going to regularly disappoint. The Federal Housing Finance Agency released its latest home price appreciation index on Tuesday and while the data support the belief that housing is bouncing back across the country, and is now becoming a positive influence on economic activity rather than a drag, the news is not good for New Hampshire. The FHFA’ s repeat sales home price index shows that NH is one of only a few states that had price depreciation between the third quarter of 2011 and the third quarter of 2012 and only two states (Maine and Rhodes Island) had lower appreciation rates than did New Hampshire. Repeat sales indices are the only accurate way to measure changes in home prices. Simply examining median sales prices doesn’t account for the fact that the characteristics of the houses sold may be different (location, size, type, etc.) unless the repeat sales method is used. I am by nature an optimist. 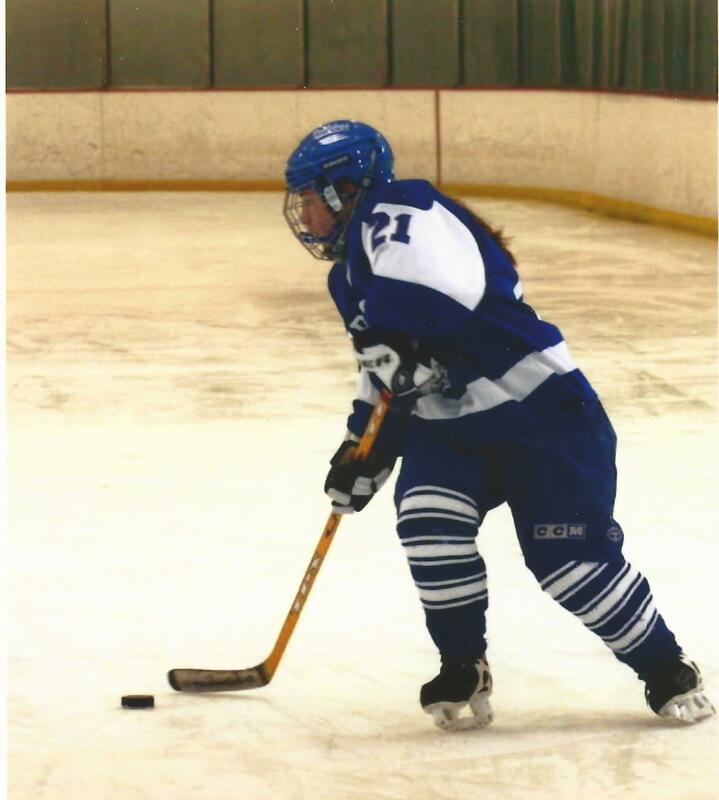 I am rooting for the housing market because its rebound is important for the prospects of the NH economy and its not so bad for my balance sheet either. I am also not looking for yet another reason for realtors to take exception to some of my analyses. 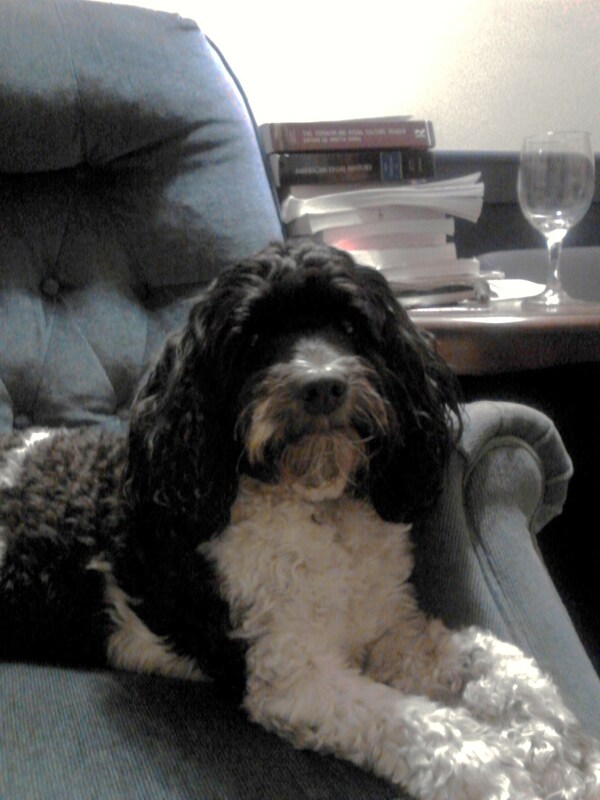 I am, however, a believer in the wisdom of markets (most of the time) but a lot of what happens in markets is driven by pure stupidity – or, rather, inattention, misinformation about fundamentals, and an exaggerated focus on currently circulating stories (the housing market is back, Mitt Romney has got the momentum in the swing states). At least one of those stories is true , the housing market is coming back as a whole in the nation, just not everywhere. As I have noted in prior posts, no amount of exhortation and cheer leading about housing can overcome the fact that values are determined by fundamental underlying demand for housing which includes population and job growth, the formation of new households, and the need to replace older housing units. Both NH’s job and population growth have been weak relative to a majority of states over the past couple of years. Regressing job and population growth over the past year in each state on the FHFA’s home price index-based change in home prices in each state shows a highly significant relationship (R=.603) accounting for about 40 percent of the variation in home price appreciation across states. There are variations in markets within each state, and this analysis is an oversimplification, but nevertheless it is important to remember that home price appreciation cannot, for long at least, outpace the fundamental determinants of the demand for housing – job, population and household formation growth, and the need to replace obsolete structures.